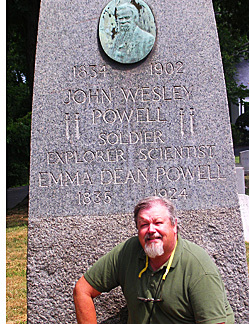 SALT LAKE CITY, UT, Jan. 8, 2019 – Soldier, geologist and explorer John Wesley Powell is an American legend. One-hundred-fifty years ago this year, he and a brave band of men set out from Green River, WY, with a mission to map and log the canyons, tributaries and features of the unexplored Green and Colorado rivers. History tells the amazing tale of adventure, hardship and ultimate success. 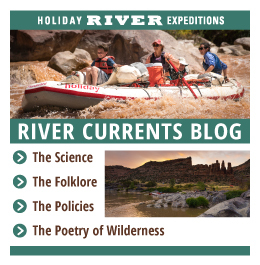 In 2019, to honor and celebrate the spirit of that epic journey, Holiday River Expeditions will re-create a portion of Powell’s trip on an 18-day, oar-powered rafting adventure from July 5 to 22. 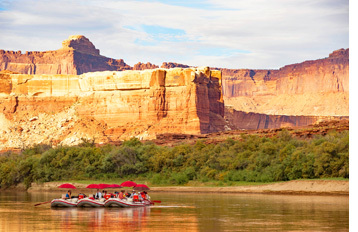 The John Wesley Powell 150th Celebration Trip will retrace Powell’s route through Lodore, Desolation, Gray, Labyrinth, Stillwater and Cataract Canyons in Utah. The 308 miles can be done as a whole, spanning the entire state of Utah, or as one or more of four stand-alone segments. 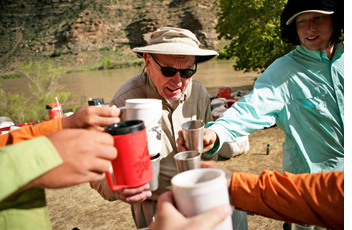 See: https://www.bikeraft.com/specialty-trips/john-wesley-powell-150th-anniversary-rafting-trip/. Leg 1 (July 5-8) 4-day Gates of Lodore – Guests begin with Lodore Canyon in Dinosaur National Monument, arriving by van from Vernal, UT. The put-in is in Brown’s Park National Wildlife Refuge where almost immediately some of Powell’s more infamous rapids — Disaster Falls and Hell’s Half Mile — challenge rafters (the Powell party named most all of the rapids and features found here and downstream). Tranquil waters prevail up to the confluence of the Yampa River in Echo Park, named for its incredible acoustics and scenery. Then come the swirling, unpredictable currents Powell dubbed Whirlpool Canyon. The last day in Dinosaur National Monument carries guests into what Powell described as a place where the river stretched out shallow and as wide as the Missouri River. The per person rate for Leg 1 is $1,005 (youth, senior and group rate $885). River historian Roy Webb joins this segment. He has spent his life running the rivers of the western United States and has authored four books and many articles and book reviews, virtually all on the history of river running in Utah. 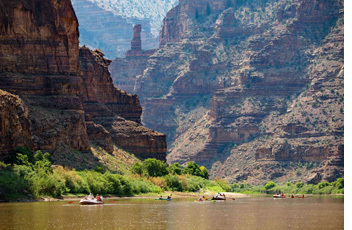 He is a charter member of the Colorado Plateau River Guides Association. 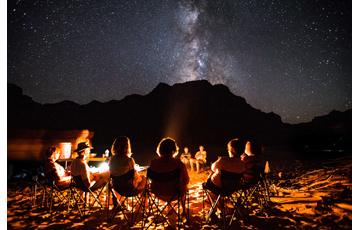 Leg 2 (July 9-13) 5-day Desolation Canyon includes a 30-minute scenic flight from Green River, UT, to the embarkation point for Desolation Canyon at Sand Wash. Much of Desolation Canyon is a National Historic Landmark established in 1969, the centennial of the Powell expedition. It was selected because it is relatively unchanged from the time of Powell and the place where the most authentic experience can still be had today. As the cliffs’ colors shift dramatically, it is easy to see why Powell named Gray Canyon. Even more eccentric rock towers lead to sporty rapids like Wire Fence, Three Fords and Coal Creek. Mystical seeps in the rock layer bring verdant life to the canyon walls. The per person rate for Leg 2 is $1,180 (youth $980, senior, group $1,085). Dennis Willis, a noted river historian, joins this sector. For 30 years Dennis worked for the BLM’s Price Field Office as the caretaker of Desolation Canyon. He supported and nurtured scientific research in fisheries and hydrology, geology, botany and archaeology. With over 120 Desolation trips logged, it is still his magical, special place. Leg 3 (July 14-18) 5-day Labyrinth Canyon brings guests through a rarely visited section of the Green River and into the upper stretches of Labyrinth Canyon that slowly rises up and closes in, moving from alien flat lands of the upper section to breathtaking red-canyon walls with exquisite side stops like Trin Alcove, 10-mile Canyon and Bowknot Bend. The per person rate for Leg 3 is $950. Joining this section is John Weisheit, an active member of the Conservation of Living Rivers and Colorado Riverkeeper of the Waterkeeper Alliance. 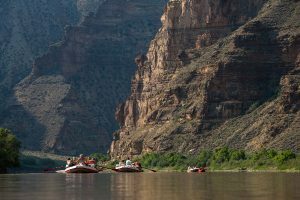 Leg 4 (July 18-22) 5-day Cataract Canyon begins with tranquility on the flat water and in the secret tiered grottoes of Stillwater Canyon. Here signs of Ancestral Puebloan peoples abound. The confluence of the Green and Colorado rivers marks the beginning of Cataract Canyon and the heart of Canyonlands National Park. After few short miles of flat water, from downstream comes an ominous thunder of Powell’s Cataracts – 30-plus rapids. With full chapters written about them, these massive wave-trains and churning holes are an epic crescendo for this extended and historic excursion. The per person rate for Leg 4 is $1,180 (youth, senior, group $1,040). Weisheit will also provide insight and interpretation along this final leg of the journey.